The Seville Orange is the fruit of the Seville Orange tree. It is the one that is used in making marmalade. The bitterness of the orange works perfectly with the sweetness of the jam. It is a much stronger orange taste and is also used as an essential oil, perfume and solvent. It is also an appetite suppressant, though I haven't tried it for that yet! It is the perfect orange tree for cold climates. It has an exceptional fragrance when in flower. 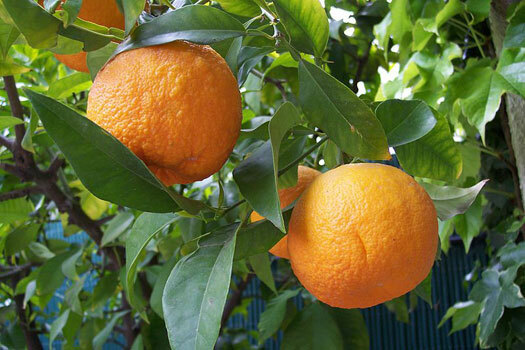 When planted in the ground it can grow much larger than a normal orange tree. It can also be grown in a large pot. Height to 6m, Width to 4m, Full sun to part shade. Frost tolerant.